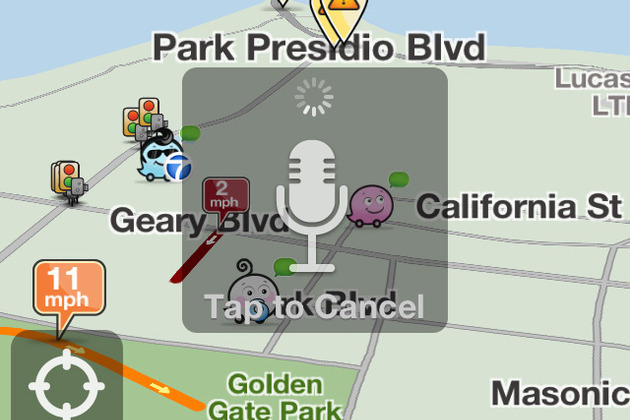 Silicon Valley start-up Waze is launching a new addition to its iOS application today. The free GPS and turn-by-turn navigation app is designed to crowd source information on traffic jams thanks to reports from fellow drivers. Users can report traffic jams, speed traps, accidents, and even update existing information. The company is now introducing a hands-free way to activate and file reports with the iOS version of the software.